I am originally from Romania and obtained a degree in Ballet from the School of Arts. Ballet training has made the transition to weight training an easy one because of the same basics. Both require meticulous focus and technique. A good trainer understands how proper form and technique helps with injury prevention, better lifting and better results. As a certified Nutritionist, and Personal Trainer I’ve been proudly coaching my clients to long-term success for over 15 years. Whether it be developing my 'The Elite Advantage Nutritional Program' or training my clients week-in, week-out, I believe real success comes through the perfect marriage of good nutrition, proper exercise, and providing my clients with the knowledge and tools to maintain a healthy lifestyle forever! Having completed the Fitness and Health Promotion Program at Fanshawe College was an amazing learning experience. My grades are exceptionally well and outstanding due to my desire and interest in the health and fitness field. Since age 12 I have always been passionate about improving myself through health and fitness. It has been 10 years since I have been involved in an active lifestyle playing sports and weight training. In high school I played varsity football for 4 years and was on the school weight lifting team. Things I enjoy doing most are working out, playing sports, going to the movies, and relaxing at patios on summer days. Paying attention to detail has been my most helpful tool to help others achieve their goals. I will work hard and put thought into your workout routines and ensure you are utilizing proper form during your exercises. I find it enjoyable to help others accomplish their goals because it reflects on how good of a trainer/coach I am. I have been interested in health and ﬁtness for the majority of my life. I ﬁrst began training as a long distance runner but shifted my focus to weight training after noticing the huge difference it made to my body shape and overall well being. After starting my Kinesiology degree I began to realize the true importance of exercise and how few people in the world were actually doing it. I knew that I wanted to educate and motivate people to adopt a healthy lifestyle so they too can enjoy the beneﬁts! It is so cool to have a job where I get to share with people what I love and inspire them to ﬁnd their true potential. Life is a gift, and it offers us the privilege and responsibility to give something back by becoming more. I want to help people become the best that they can be. My clients goals are my goals when we are working together. Growing up I have always been into health and fitness, playing almost every sport as a kid and into my adolescence and adulthood. Hockey, lacrosse, volleyball, baseball, swimming, weight training, you name it. After seeing the positive effects it had on my life, including excelling at sports, feeling strong, and making a better, healthier version of myself; I knew the health and fitness industry was for me. During my undergrad studying applied human nutrition, I knew the combination of a active lifestyle and nutrition are the key to long and healthy life, and I want to provide that to all of my clients, friends, and family around me. I am also planning to compete in my own fitness competition within the next year. I love to travel, be outdoors, walk my dog, play sports, and am always ready to try new things! 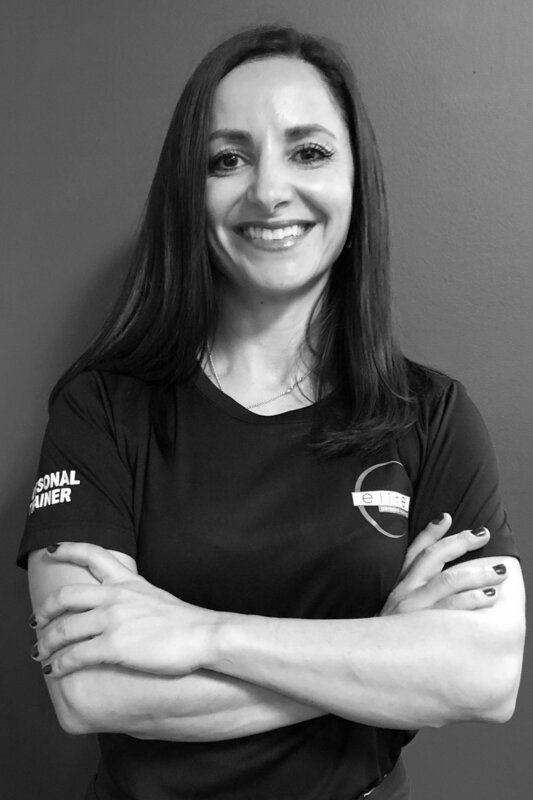 As a passionate Certified Personal Trainer, my role is to motivate, enable and make training a fun and rewarding experience. I want to share my enthusiasm, encourage a happier lifestyle, and help you realize what your body is capable of. I believe that with the right training program, some determination and support, anyone can achieve their goals, and I can help you get there. Fitness has played a big role most of my life. I first started exercising at the age of 14 at our home gym almost every day after school. I would watch work out videos since I didn’t have a clue what I was doing! After a while I needed something more. At age 16 I hired my very first personal trainer and completely fell in love with fitness! I learned so much including proper form and techniques, as well as basic boxing which I later continued at a boxing gym. Working with a trainer opened my eyes to the fitness industry and I knew I wanted to become a personal trainer myself. A few years later at age 19, I got my certification, got a job at Goodlife Fitness, and it has been my passion ever since! After moving from Oakville to London a few years back, I had not been able to train clients due to my busy schedule. I did however continued to train myself in that time. Now that I am back in a gym, training clients, I’ve never been happier! I absolutely love helping people reach their goals and giving them the tools they can use for the rest of their lives! I can assist in not only making positive changes in the way you look physically, but also positive changes mentally – because it always has to start with your mind. It’s never too late to make life changes and you CAN achieve your goals! You just have to believe you can! Working out should never be something people dread doing. I promise to not only help you in your journey, but to do my best to make sure you have fun smashing your goals!! !